The Polish Social Insurance Institution (SII) deprived a person of the right to a social pension/insurance. According to the SII, this person did not meet the statutory requirements for receiving benefits because she could not be deemed as a person completely unable to work. As the evidence, the SII inter alia pointed to the activity of that person on Facebook. The case was appealled. The District Court in Siedlce in its judgment case fie IV U 555/17 overturned the decision of the SII. The Court ruled that activities of the insured on Facebook cannot support arguments that she is able to use a computer and applications associated with it by herself. In addition, there was no direct relationship between knowledge of how the Internet works and her ability to perform work. Categories: case law | computer law | e-law issues | Polish District Court | Polish institutions | Polish law. The Polish company Zakład Gospodarki Komunalnej Organizacja Odzysku Biosystem S.A. requested the Polish Patent Office to take a decision on the lapse of the right of protection for IR-653449 and IR-585713 trade marks registered for goods in the following Classes 1, 2, 3, 5, 6, 7, 8, 9, 11, 16, 20, 21, 24, 25, 29, 30, 32, 34, 35, 36, 39, 40, 42. Both trade marks are owned by Der Grüne Punkt Duales System Deutschland GmbH. In support of its legal interest, Biosystem S.A. explained that it is one of more than 30 domestic companies that are specializing in recovery of certain categories of waste and like other market participants have the right to use the informational signs. While Rekpol S.A., being the sole licensee of Der Grüne Punkt Duales System Deutschland GmbH trade marks, is sending C&D letters to different businesses, including Biosystem S.A. According to Biosystem the questioned trade marks are spread and used among various companies and as the result of negligence of the owner and licensee these signs cannot fulfill the functions to designate the origin of a particular entrepreneur and have degenerated in respect of all goods and services and become a carrier of information in trade that the product bearing the mark shall be recovered. The PPO decided that the Polish company had no legal interest (but only factual one) in all classes of goods since it produces none of the goods covered by the protection right (and it doesn’t not sell them), but only provides services related to recovery of certain categories of waste. The PPO only agreed that Biosystem S.A. has shown legal interest in seeking the lapse of the disputed trade mark registration in part, on all services (i.e., services included in Classes 35, 36, 39, 40, 42). In this respect, the PPO considered that the interest can be inferred from the principle of freedom of establishment guaranteed in the provisions of Article 20 of the Polish Constitution and Article 6 of the Act of 2 July 2004 on Freedom of Economic Activity. Biosystem filed a complaint against this decision. The Voivodeship Administrative Court in its judgments of 15 April 2008 case file VI SA/Wa 1959/07 and VI SA/Wa 1960/07 held that the definition of waste and recycling, shows that waste are the goods. Thus, in the view of the Court it was possible to trade in such goods. The court held that it may be that the scope of activities of Biosystem S.A. include those goods. Hence the need to examine the legal interest in the classes of goods. Legal interest shall be tested at the beginning of hearings, therefore, the VAC did not address the merits of the dispute. The Court ruled that the repealed decisions of the Polish Patent Office should not be enforceable. The Voivodeship Administrative Court has also decided on other PPO’s decisions with regard to IR-585714 and IR-653450 trade marks and held the same in its judgments of 24 April 2008 case file VI SA/Wa 1961/07 and VI SA/Wa 1962/07. All four cases went back to the Polish Patent Office. Again, Biosystem argued that the characters have lost their distinctiveness, as they appear on millions of packages of goods from various manufacturers. The company cited a research institute Pentor that consumers do not identify these signs with a particular trader. They are applied by different manufacturers for packaging and currently only indicate that they are subject to disposal (safe for the environment). Biosystem claimed that information as such cannot serve as trade mark and the sign does not identify an entrepreneur. Der Grüne Punkt-Duales System Deutschland and Rekopol noted that they were active in defending these trade marks against the lapse, because both companies warned many entrepreneurs, that Grüne Punkt trade marks cannot be used without a proper license. In this way, both companies care about the protection of the brand which excludes the possibility of the lapse due to lack of distinctive character. The Polish Industrial Property Law clearly states that the loss of the distinctive character must be the consequence of the owner’s acting or negligence. The Adjudicative Board of the PPO in its decisions of July 2010 case no. Sp. 363/08 and case no. Sp. 433/08 and ruled on the lapse of the right of protection. The PPO agreed with the argument that Grüne Punkt trade marks became very popular in many markets, especially in Europe. According to the case file, there are around 95,000 licenses granted all over the world for their use, and for example, in Western Europe, they are placed on almost 91% of the packaging. Such method of placing trade marks on a variety of products that originate from different manufacturers does not meet the conditions of the genuine use of the mark in its function. The Voivodeship Administrative Court in Warsaw in its two judgments of 9 March 2011 case file VI SA/Wa 2169/10 and case file VI SA/Wa 2171/10 dissmissed complaints filed by Der Grüne Punkt-Duales System and Rekopol. Both companies filed cassation complaints. The Supreme Administrative Court in its judgments of 21 November 2012 case file II GSK 1551/11 and case file II GSK 1646/11 dismissed them both which in consequence lead to the final lapse of both trade mark rights on the Polish territory. Categories: Art. 169(1)(i) IPL | Art. 169(2) IPL | Art. 169(6) IPL | Art. 20 Constitution | Art. 25 TMA | Art. 30 TMA | Art. 315 IPL | case law | distinctive character | genuine use | legal interest | Polish Act on Industrial Property Law | Polish Act on Trade marks | Polish Constitution | trade mark lapse | trade mark use | trademark law | Voivodeship Administrative Court. This is the continuation of a story described in “Personal data protection, case II SA/Wa 1598/09“. The Supreme Administrative Court in its order of 15 July 2010 case file I OSK 1079/10 decided to stay the execution of the decision issued by the Inspector General for Personal Data Protection (GIODO), and ruled that the Polish Act of 16 July 2000 on Telecommunications Law – TLA – (in Polish: Prawo telekomunikacyjne), published in Journal of Laws (Dziennik Ustaw) No 171, item 1800 with subsequent amendments, provides broader protection of personal data because of telecommunications confidentiality, than the provisions of the Act of 29 August 1997 on the Protection of Personal Data – PPD – (in Polish: Ustawa o ochronie danych osobowych), published in Journal of Laws (Dziennik Ustaw) of 29 October 1997, No. 133, item 883, unified text published in Journal of Laws (Dziennik Ustaw) of 6 July 2002, No. 101, item 926, with subsequent amendments. The Court held that the disclosure of IP addresses which enable identification of specific individuals, that was ordered during administrative proceedings initiated with regard to disclosure of such data, while such proceedings did not ended with judgment in force, may violate the provisions of Article 160 of the TLA. 1. An entity participating in the performance of telecommunications activities within public networks and entities cooperating with it shall keep the telecommunications confidentiality. 2. Entities referred to in paragraph 1 shall maintain due diligence, within the scope justified by technical or economic reasons, while securing telecommunications equipment, telecommunications networks and data collections from disclosing the telecommunications confidentiality. 3. A person coming into possession of a message not meant to be read by him/her when using radio or terminal equipment shall keep the telecommunications confidentiality. The provisions of Article 159 (3) and (4) shall respectively apply. 4. The recording of a message acquired in a manner described in paragraph 3 by a body executing control of telecommunications activities in order to document a violation of a provision of the Act, shall not be a violation of the telecommunications confidentiality. While assessing the validity of the request to stay the execution of GIODO’s decision to disclose the requested IP address at this stage of proceedings, the Court agreed with the author of the cassation complaint, that the execution of the questioned decision at this stage makes it impossible to reverse the actions taken after the disclosure of the IP addresses, and such action should be seen as causing the effects that are difficult to reverse according to Article 61(3) of the Act of 30 August 2002 on the Law on Proceedings Before Administrative Courts – PBAC – (in Polish: Prawo o postępowaniu przed sądami administracyjnymi), published in Journal of Laws (Dziennik Ustaw) No 153, item 1270, subsequent amendments. § 1 Filing a complaint does not stay the execution of the act or actions. § 3 After the delivery of a complaint to the court, the court may issue at the request of the applicant, the order to stay the execution, in whole or in part of the act or actions referred to in § 1, if there is a risk of causing significant damage or cause to be difficult to reverse, with the exception of the provisions of local law which entered into force, unless the special Act excludes the stay of their execution. The refusal to stay the execution of the act or actions by the authority, does not deprive the applicant of action to the court. This also applies to acts issued or adopted in all proceedings conducted within the same case. The SAC held that if the Supreme Administrative Court would agree with the cassation complaint filed against the judgment of the Voivodeship Administrative Court of 3 February 2010 case file II SA/Wa 1598/09, the effects of the execution of the questioned decision could not be reversed, because the IP address identifying a specific person is available to another participant in the proceedings. Accordingly, the court held that the correct solution at this stage of proceedings, is to stay the execution of the questioned decision also with a view to the impact of which its execution might result in, as well as the nature of the protection of personal data resulting from the relevant regulations such as, inter alia, the TLA. Categories: Art. 159 TLA | Art. 160 TLA | Art. 161 TLA | Art. 5 PPD | Art. 6 PPD | Art. 61 §3 PBAC | case law | computer law | criminal law | defamation | image | ISP liability | legal regulations on computer networks | personal rights or interests | Polish Act on Proceedings Before Administrative Courts | Polish Act on Protection of Personal Data | Polish Act on Telecommunications Law | Polish Supreme Administrative Court. On 1 March 2004, the Polish Patent Office registered word-figurative trade mark CZUWAJ R-152214 (in English: “Be Prepared”). Związek Harcerstwa Polskiego – Główna Kwatera is the owner. The sign looks exactly the same as the Scouts Cross. The final design of Scout’s Crass was approved during ZHP’s unification conference held on October 1-2 1918 which has choosen this sign as the official badge of Polish scouting In November 1918 the Polish Ministry of War decreed that the Krzyż Harcerski was the only civilian emblem that might be worn on military uniforms. The tradition continues to this day. Nowadays, there are three major scouting organizations in Poland. Związek Harcerstwa Polskiego, Związek Harcerstwa Rzeczypospolitej and Stowarzyszenia Harcerstwa Katolickiego Zawisza. ZHR filed a request for invalidation of the right of protection. The request was based on provisions of article 8(1) of the old Polish Trade Mark Act – TMA – (in Polish: Ustawa o znakach towarowych) of 31 January 1985, Journal of Laws (Dziennik Ustaw) No 5, item 15, with subsequent amendments. The Polish Act of 30 June 2000 on Industrial Property Law – IPL – (in Polish: ustawa Prawo własności przemysłowej) of 30 June 2000, published in Journal of Laws (Dziennik Ustaw) of 2001 No 49, item 508, consolidated text on 13 June 2003, Journal of Laws (Dziennik Ustaw) No 119, item 1117, with subsequent amendments, provides more stricter regulations against registering such signs. The Polish Patent Office in its decision case file Sp. 334/05 invalidated the right of protection. The PPO ruled that all Polish scouts’ organizations should have the right to use this sign. This decision is not yet final. A complaint may be filed to the Voivodeship Administrative Court. Categories: absolute grounds for refusal | Art. 131(2)(i) IPL | Art. 8(1) TMA | bad faith | case law | Polish Act on Industrial Property Law | Polish law | Polish Patent Office | trade mark invalidation | trademark law. The Appellate Court in Warsaw in its judgment of 15 July 2010 case file VI ACa 1402/09 held that even if a website only republishes articles or summaries of works published in major periodicals, it is not absolved from responsibility for infrigement of personal interests of a person who was described in such an article. Categories: Art. 23 CC | Art. 24 CC | case law | computer law | copyright law | e-law issues | image | personal rights or interests | Polish Appeallate Court | Polish Civil Code | quotation right. 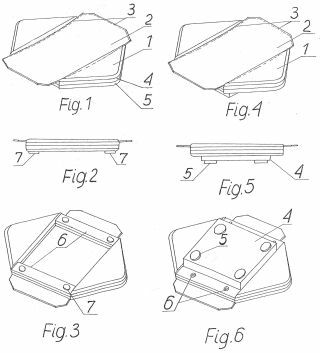 This is the continuation of the history described in “Industrial design and trade mark law, case VI SA/Wa 710/08“. Rosinski Andrzej Rosinski Michal Rosinska Joanna Zaklad Produkcji Opakowan Rosinski i S-ka, Sp. J. decided to file a cassation complaint to the Supreme Administrative Court, hoping that the Court would clarify the interpretation of Article 117(2) of the Act of 30 June 2000 on Industrial Property Law – IPL – (in Polish: ustawa Prawo własności przemysłowej), published in Journal of Laws (Dziennik Ustaw) of 2001 No 49, item 508, consolidated text of 13 June 2003, Journal of Laws (Dziennik Ustaw) No 119, item 1117, with subsequent amendments. The Supreme Administrative Court in its judgment of 15 May 2010 case file II GSK 481/09 ruled that there is no issue of wrong implementation of the provisions of Article 11 of the Directive 98/71/EC of the European Parliament and of the Council of 13 October 1998 on the legal protection of designs. The Court noted that even the preamble of Design Directive explicitly states that Member States should remain free to fix the procedural provisions concerning registration, renewal and invalidation of design rights and provisions concerning the effects of such invalidity. Therefore, there is no need to refer a question to the Court of Justice of EU for a preliminary ruling. The SAC did not agree with arguments that the issue of finding that the exploitation of the industrial design infringes third parties’ personal or author’s economic rights shall be decided by civil court and not by the PPO. 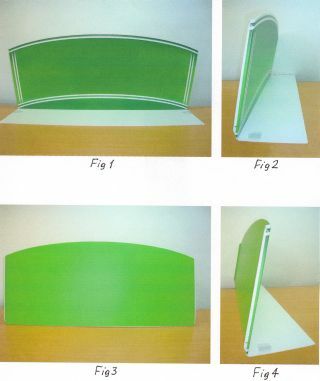 The question of similarity of the questioned design and 3D trade mark should also be decided by the PPO. The Court did not follow arguments presented by the General Court in its judgment of 12 May 2010 in case T-148/08, Beifa Group Co. Ltd v Office for Harmonisation in the Internal Market, Schwan-Stabilo Schwanhaüßer GmbH & Co. KG. However, the SAC did agree with the Polish company that facts of the case were not handled properly by the Voivodeship Administrative Court. Therefore, the SAC annulled the questioned judgments and returned the case to the VAC for reconsideration and ordered the Polish Patent Office to pay the Polish company a reimbursement of costs of the cassation compliant. The Court noted also that if the trade mark that was used as a basis of the application for invalidation of the industrial design, is a sign that was registered with an earlier priority in Germany, which is not identical with the Community design that was questioned in the aforementioned application, is similar to this design, the law of the Member State (in this case § 14 section 2 pt 2 of Markengesetz, similar to Article 296 of the IPL) affords Unilever, the proprietor of the mentioned trade mark, the right to prohibit use of this sign in a later design only if because of the similarity of the design to the said trade mark and identical or similarity of the goods or services, which relate to the trade mark and the later design, there is a likelihood of confusion. Categories: Art. 117 IPL | case law | Directive 98/71/EC | industrial designs | invalidation of a right in registration | novelty of an industrial design | personal rights or interests | Polish Act on Industrial Property Law | Polish Supreme Administrative Court | trade mark infringement. Małgorzata F. sued a residential community and the advertising company for infringement of her personal interest that according to Małgorzata F. occured by placing on the building in which she lives a big banner advertising, which concealed all windows of her apartment. The plaintiff did not ask for financial compensation but only for the apology to be published in the media. The Appellate Court in Warsaw in its judgment of 9 July 2010 case file VI Aca 1460/09 held that such advertising does not constitute an infringement of personal rights, in particular immunity of residence, because it rather concerned the so-called domestic peace (mir domowy). The court suggested that the right way for such disputes is to challenge the resolutions of the community or to base a lawsuit on the rules on the protection of property, and not the path of protection of personal interests. See also “Advertising law, reclaim the windows“. Categories: advertising law | Art. 23 CC | Art. 24 CC | case law | personal rights or interests | Polish Appeallate Court | Polish Civil Code. The Supreme Court in its order of 29 June 2010 case file I KZP 7/10 held that, the prescription of defamation crime is counted from the date of publication of the offensive content. This crime is defined in the provisions of Article 212 of the Criminal Code – CRC – (in Polish: Kodeks Karny) of 6 June 1997, published in Journal of Laws (Dziennik Ustaw) No 88, item 553, with subsequent amendments. This issue was referred to the Supreme Court by the District Court, who had inquired whether the defamation is a crime of continuous nature, which means that in case of defamatory entry placed on the Internet, it is committed as long as entry is available on the website. Interestingly, the SC refused to answer this question but the Court deliberated very wide on this issue in the justification of the order. The Supreme Court ruled that on-line defamation is not a continuous crime, which would involve creating and maintaining the status recognized by law as unlawful. The Court was aware of the fact the interests of the victim are violated as long as the defamatory content is publicly available on a website. However, per analogy to the printed press, where the victim’s interests are harmed as long as there are archived copies of newspapers containing offensive words. The Supreme Court held that the offense involving the placement of a defamatory content in the Internet as referred to in article 212 § 2 of the CC is committed at the moment to making an entry and not while removing it. This means that the perpetrator cannot be prosecuted with the private charge after a year from the time when the victim learned about the offender, but no later than the expiry of three years from the time it was committed. Categories: Art. 212 CRC | case law | computer crime | computer law | defamation | e-law issues | Polish Criminal Code | Polish Supreme Court. The Voivodeship Administrative Court (VAC) in Warsaw in its judgment of 5 July 2010 case file III SA/Wa 25/10 confirmed the interpretation that contracts based on providing access to websites for displaying ads should be deemed as the lease of such a website. That’s the most favorable interpretation from the perspective of the website owner and the advertising company. The first can choose a lump sum and pay 8.5% tax regardless of income. The company is not required to act as a withholding agent, who is obliged to collect withholding income tax. See also “Tax law, case I SA/Kr 60/10“. Categories: Art. 10(1) PITA | case law | e-adverstising | e-law issues | Polish Act on Personal Income Tax | Tax Chamber | tax law | Voivodeship Administrative Court. The Polish newspaper Gazeta Prawna reports in the article entitled “Faktury papierowej nie można przechowywać w formie elektronicznej” on the individual interpretation of the Director of Tax Chamber in Bydgoszcz of 17 June 2010 No. ITPP3/443-52/10/JK regarding e-invoices. The Director explained that there is no possibility to store electronic invoices, which were issued and sent to the contractor in paper form. The tax regulations do not provide that taxpayers can store documents, copies of sales invoices issued in paper form, in electronic form, with the possibility of printing only when the need arose. On the contrary, these regulations require the taxpayer to retain copies of sales invoices and correction invoices in the original form that was created at the time of issue of the originals of these documents. In addition, there is no legal basis for the application of such a mixed-mode, in which on the one hand the invoice would be issued in paper form, and copies of invoices to be kept in the electronic form. An entrepreneur seeking to reduce costs associated with invoicing can sign invoices issued in the electronic form with the qualified electronic signature, and after prior approval obtained from the recipient of such a document, send it via e-mail, deliver it on a CD or other electronic medium. Such system of delivery of documents that also ensures its authenticity and integrity, not only reduce the cost of billing on the drawer side, but also reduce costs of customers of such entrepreneur, and will be in accordance with the provisions governing the matter of invoicing. The Polish Ministry of Finance treats only two types of invoices as legitimate way of billing if they could not be received personally. These are paper invoices that one may send to its customer by post or courier, or electronic, not so popular, because to use it the entrepreneurs must pay for the so-called qualified e-signature. The Polish newspaper Gazeta Wyborcza reports in its article entitled “Zabawa w zginanie faktur” that lots of companies in Poland send invoices by e-mail in the attached file (usually scanned), because it’s faster, more convenient and cheaper. One does not pay for stamps or envelopes. There is only one problem – the tax authorities believe that it is illegal activity. In the case of tax control, a company is threaten by financial penalties. But Polish entrepreneurs have found a solution for such unrealistic approach. The invoice that was received by e-mail is printed and bend in half. It looks like it was taken out of the envelope. There is no provision in the tax law tha would require the storage of envelopes. The tax control is not able to prove that it wasn’t printed by the issuer of the invoice and send by post or courier. Almost everyone is happy. The Ministry of Finance respects the decision of the Supreme Administrative Court that was described in the post entitled “Tax law, case I FSK 1444/09“, but it does not mean that the Ministry agrees with legal arguments presented by the SAC. The Republic of Poland is a civil law country and there are no binding precedents. It means the every entrepreneur would have to go the same way as the one whose case ended before the SAC. See also “Tax law, case III SA/Wa 396/10“. Categories: Art. 106 GSTA | case law | e-documents | e-invoices | e-signature | Polish Act on Goods and Services Tax | Tax Chamber | tax law. In 2003, Polish company Zakłady Tytoniowe Lublin started to produce “Full Flavor ZTL Mont Blanc” and “Light ZTL Mont Blanc” cigarettes. Te tanie papierosy miały być konkurencją dla przemycanych z Ukrainy papierosów Monte Carlo. These latter cheap cigarettes were meant to be competition for Monte Carlo cigarettes smuggled from Ukraine. German company Montblanc – Simplo sued Polish company for infringement of Montblanc trade marks’ reputation, unfair competition delict and infringement of personal rights/interest. Montblanc – Simplo demanded the cessation of production of these cigarettes and the publication of a statment on illegal use of the trade mark, in nationwide newspapers. The District Court in Lublin in its judgment case file IX GC 104/06 dismissed these claims. The court held that that the contested name is written on cigarette packs separately (as the name of a mountain peak) and in a figurative aspect it has a different color, font and background. Therefore it cannot mislead consumers, what is more important, these are goods of various kinds. 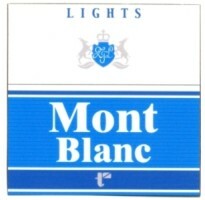 The expert in the field of commodities found that use of the trade mark for cheap cigarettes has no effect on the reputation of Montblanc sign and there is no percolation of the two groups of consumer of both products. 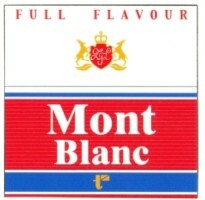 Also an expert in the field of social psychology, did not reveal blurring of Montblanc reputation by the use of the geographical name “Mont Blanc” on the cheap cigarettes. Categories: Art. 23 CC | Art. 24 CC | Art. 296(2)(iii) IPL | case law | company name or firm | famous trade marks | personal rights or interests | Polish Act on Industrial Property Law | Polish Civil Code | Polish District Court | reputed trade marks | trade mark infringement. The Court of Justice of the European Union in its judgment of 1 July 2010, Case C‑99/09, Polska Telefonia Cyfrowa sp. z o.o. v. Prezes Urzędu Komunikacji Elektronicznej, ruled that article 30(2) of Directive 2002/22/EC of the European Parliament and of the Council of 7 March 2002 on universal service and users’ rights relating to electronic communications networks and services (Universal Service Directive) is to be interpreted as obliging the national regulatory authority to take account of the costs incurred by mobile telephone network operators in implementing the number portability service when it assesses whether the direct charge to subscribers for the use of that service is a disincentive. However, it retains the power to fix the maximum amount of that charge levied by operators at a level below the costs incurred by them, when a charge calculated only on the basis of those costs is liable to dissuade users from making use of the portability facility. Categories: Art. 30(2) Directive 2002/22 | case law | Directive 2002/22/EC | Directive 98/71/EC | EU law | Polish Supreme Court | telecommunication law. The Supreme Administrative Court in its judgment of 18 May 2010, case file II GZ 224/09 ruled that the Act on the Law on proceedings before administrative courts – PBAC – (in Polish: Prawo o postępowaniu przed sądami administracyjnymi) of 30 August 2002, Journal of Laws (Dziennik Ustaw) No 153, item 1270, with subsequent amendments, did not afford a possibility of making a further appeal, or complaint from the judgments delivered by the Supreme Administrative Court. This means that the decision of the Supreme Administrative Court becomes final upon its publication. The administrative proceedings, as a general rule, is divided into two stages of jurisdiction. This principle is consistent with the regulations included in Article 176(2) of the Polish Constitution. Categories: Art. 178 PBAC | Art. 194 PBAC | Art. 197 PBAC | case law | Polish Act on Proceedings Before Administrative Courts | Polish Administrative Proceedings Code | Polish patent attorneys | Polish Supreme Administrative Court. The Voivodeship Administratve Court in Warsaw in its order of 16 June 2010 case file VI SA/Wa 134/10 held that the principle of filing a complaint in the administrative proceedings through a public authority/body means that in case of a complaint filed directly to the administrative court or through a public authority other than the one whose action or inaction is the subject of the complaint, that court or authority should hand on such complaint to the competent authority of public administration. The deadline to bring an action referred to in article 53 § (1-3) of the PBAC, is decided on the date when the complaint was delivered to the relevant court or public administration body by the public authority who received it first. Categories: Art. 53 PBAC | Art. 54 PBAC | case law | Polish Act on Proceedings Before Administrative Courts | Polish Patent Office | Voivodeship Administrative Court. The Supreme Court in its judgment of 16 June 2010, case file I CSK 481/09 held, that a party to the proceedings may request from its legal representative to compensate for damages only if the representative did not act diligent and failed to meet the prevailing standard of competence in his or her work on client’s behalf. The court pointed out that the representative (advocate, patent attorney) is responsible for the due care, and not for the result of the case. The fact that a representative has been unsuccessful in conducting a case, even if the reasoning of a judgment indicates that this was the result of his or her mistake, it does not mean legal malpractice, and that the client can claim compensation for the loss suffered by the this injury. The final ruling is binding not only for the parties and the court which issued it, but also to other courts and public bodies and authorities, and others in all cases provided for in the law. This is called “material validity of the judgment”, also known as “extended validity”. Categories: case law | Polish Act on Patent Attorneys | Polish Chamber of Patent Attorneys | Polish patent attorneys | Polish Supreme Court. The Supreme Administrative Court in its judgment of 21 May 2010 case file II FSK 153/09 held that the allegations made in the cassation complaint are key issues for identyfing the boundaries of a given case. The Supreme Administrative Court shall decide the case within the scope of a cassation complaint, examining ex officio only the invalidity of the proceedings. The legitimacy of cassation complaint shifts from the legitimacy of allegations that were raised in it, which should be demonstrated by appropriate justification. The exclusion by the Voivodeship Administrative Court of binding interpretation of law in a given case, that is based on article 153 of the PBAC, is a violation of law, in particular the democratic rule of law provided in article 2 of the Polish Constitution. Categories: Art. 153 PBAC | case law | Polish Act on Proceedings Before Administrative Courts | Polish Supreme Administrative Court. The Court of Justic of European Union in its judgment of 3 June 2010, case C‑569/08, Internetportal und Marketing GmbH v. Richard Schlicht, ruled on bad faith registration of EU domain names. 1. Article 21(3) of Commission Regulation (EC) No 874/2004 of 28 April 2004 laying down public policy rules concerning the implementation and functions of the .eu Top Level Domain and the principles governing registration must be interpreted as meaning that bad faith can be established by circumstances other than those listed in Article 21(3)(a) to (e) of that regulation. 2. In order to assess whether there is conduct in bad faith within the meaning of Article 21(1)(b) of Regulation No 874/2004, read in conjunction with Article 21(3) thereof, the national court must take into consideration all the relevant factors specific to the particular case and, in particular, the conditions under which registration of the trade mark was obtained and those under which the .eu top level domain name was registered. – the fact of having registered the trade mark shortly before the beginning of phased registration of .eu top level domain names. – the fact of having applied for registration of a large number of domain names corresponding to generic terms. Categories: bad faith | case law | domain names | EU law | EU TLD | generic sign | Internet domains law | Judgments of Court of Justice of the EC | Regulation 874/2004 | trademark law. In the Regulation of the Minster of Health of 26 April 2010 on the leaflet readability test (in Polish: rozporządzenie w sprawie badania czytelności ulotki), Journal of Laws of 18 May 2010, No. 84, item 551, the Polish Minister of Health provided the principles of examination under which the content of the information attached to the pharmaceutical products is understandable. – test participants are those who may use the medicinal product, including those who have difficulty understanding written information. The test is carried out with ten participants. A positive test result means that for each question, 90% of study participants may find the information on a given leaflet, of which 90% may show their understanding and give the correct answer and to proceed with the medicinal product. Categories: consumer protection law | pharmaceutical law | Polish Act on Pharmaceutical Law | product packaging | regulations. The Supreme Administrative Court in its judgment of 17 May 2010 case file I OZ 356/10, held that if legal representative refuses to prepare and file an appeal because he or she believes that such appeal would be unfounded, and informs the party, giving a proper opinion in this matter, this must be regarded as giving up the cassation complaint by a represented party, since a party has no standind in this area because the appeal must be made by a legal representative only under pain of dismissal of the action. The entitled representatives to file a cassation appeal are only these mentioned in the Law on proceedings before administrative courts, and so, in particular, advocates and legal advisors (radca prawny). In addition, the cassation complaint may also be made by the tax consultant – on tax obligations, and in matters of industrial property – by the patent attorney. The obligation to file a cassation by a professional results from two-instances of the administrative judiciary and to ensure more efficient proceedings. The obligation to file a cassation by a professional results from two-instances of the administrative judiciary and to ensure more efficient proceedings. This requirement was also introduced in order to ensure an adequate level of the form and content of a cassation complaint, and thus to provide a party the certainty that there will be no risk of rejection of its complaint. The knowledge of the regulations and enforcement procedures that are applicable to judicial proceedings can be expected and required from a professional representative. The refusal to prepare and to file a cassation complaint is not subject to review by the administrative courts. However, if in doubt, a party may apply to the competent authority of the professional autonomy requesting to review the merits of such action. Categories: case law | Polish Chamber of Patent Attorneys | Polish patent attorneys | Polish Supreme Administrative Court. The Voivodeship Administrative Court in Warsaw in its judgment of 27 may 2010 case file VI SA/Wa 506/10 held that due to the fact that the Polish Patent Office did not timely corrected the deficiency of the reasons of its decision and it did not decided and ruled on this issue in its response, although irregularities were indicated in the complaint, the Court had to decide at this stage of proceedings that the contested decision infringes the rules of administrative proceedings in the aspect that could significantly affect the outcome of the case. This judgment concerned the industrial design “Zestaw podstawek reklamowych Star Fala” (in English: Set of advertising coasters Star Fala) Rp-11779. This judgment is not yet final. A cassation complaint may be filed to the Supreme Administrative Court. See also “Polish regulations on industrial designs” and “Polish case law on industrial designs“. Categories: Art. 102 IPL | Art. 103 IPL | Art. 104 IPL | Art. 117 IPL | case law | industrial designs | invalidation of a right in registration | Polish law | Voivodeship Administrative Court. The Voivodeship Administrative Court in Warsaw in its judgment of 23 February 2010 case file VI SA/Wa 1038/09 held that the Polish Patent Office wrongly ruled that the admission of evidence based on the testimony of a witness will not bring anything new to the case, by stating that these witnesses were not credible evidence that the subject of disclosure in the shop (boards) was questioned industrial design. The VAC held that such ruling has the nature of prejudice and is contrary to the provisions of administrative procedure because the PPO made the assessment of usefulness and credibility of evidence, of which it has not get acquainted with. This judgment concerned the industrial design “Tablica informacyjna” (in English: Information table) Rp-11243. The judgment is not yet final. A cassation complaint may be filed to the Supreme Administrative Court. See also “Polish regulations on industrial designs” and “Polish case law on industrial designs“. Categories: Art. 102 IPL | Art. 103 IPL | Art. 104 IPL | case law | industrial designs | novelty of an industrial design | Polish Act on Industrial Property Law | Voivodeship Administrative Court. The Polish entrepreneur asked the Director of the Tax Chamber in Kraków, whether the inclusion in the billing of VAT of the amount of tax charged on the purchase of goods and services on the basis of invoices and correction invoices received by e-mail or fax, not in the form of electronic invoices with digital signature, is correct. The Director ruled that such interpretation is incorrect. The Company did not agree with this decision and filed a complaint to the administrative court. The Voivodeship Administrative Court (VAC) in Kraków in a judgment of 17 March 2009, case file I SA/Kr 97/09 dismissed the case. The Company filed a cassation complaint. The Supreme Administrative Court in a judgment of 20 May 2010, case file I FSK 1444/09, ruled that invoices that were sent via fax or e-mail are equivalent to these sent via traditional mail. What’s more important, such invoices do not need any electronic signature. Categories: Art. 106 GSTA | case law | e-access | e-documents | e-invoices | e-signature | EU law | Polish Act on Goods and Services Tax | Polish Supreme Administrative Court | Tax Chamber | tax law. The Director of Tax Control Office in Warsaw ruled that the amounts of cash referred to as a “license to exercise the media rights” that were received by Legia football club from the Polish Football Association (PZPN), should be subject to tax on goods and services. Legia argued that such an agreement is not a contract of sale of rights, but the license agreement. However, the Director has found that the PZPN was the sole owner of intangible (economic and non econimic) property rights to the Polish national championships. To be the sole owner of the rights to football matches, PZPN had to acquire these rights. Therefore, Legia had to transfer these rights in some way, and that included proper fee. The Director referred to a series of court decisions and pointed out that the sports’ event, namely football games, do not constitute a copyrightable work under the Polish Act on Authors Rights and Neighbouring Rights – ARNR – (in Polish: ustawa o prawie autorskim i prawach pokrewnych) of 4 February 1994, published in Journal of Laws (Dziennik Ustaw) No. 24, item 83, consolidated text of 16 May 2006, Journal of Laws (Dziennik Ustaw) No. 90, item 631. Legia as a football club does not take action on the creative nature. In the opinion of the Director, it is not precluded that on the legal market may exist licensing agreements relating to intangible property, other than works that are defined in the ARNR. Only article 43(1) pt 13 of the Act on Goods and Services Tax – GSTA – (in Polish: ustawa o podatku od towarów i usług) of 11 March 2004, Journal od Laws (Dziennik Ustaw) No. 54, item 535, includes a reference to the ARNR. 13) licensing or authorization to use a license, as well as assignment of the proprietary right within the meaning of the copyright law – in relation to computer programmes – free of charge, for educational facilities, referred to in paragraph 9. That provision indicates the grant of the license or authorization to use copyright licenses and the transfer of property rights under copyright law (the ARNR). The absence of such references in other regulations means that the transfer of copyright may affect the rights of the author, or a sole owner of any intangible property, which does not have the characteristics of the copyrightable work. A similar situation will occur in the case of a license. Wherever there is no reference to copyright law (ARNR) it will also mean the license agreement for the use of intangible property other than the copyrightable work. The Tax Office ruled that Legia transfered “media rights” to the PZPN, so the Association could fully manage of them, and so enter into an agreement concerning the disposition of such rights. The rate of the tax shall be 22% for such service. The tax shall become chargeable upon the receipt of all or part of payment, though not later than upon the expiry of the due date specified in the contract or invoice – for the performance in the territory of the country of services referred to in article 27(4) pt 1 of the GSTA. 1) sale of rights or granting of licenses or sublicenses, transfers and assignments of copyrights, patents, trademarks, letting joint trademarks or joint guarantee marks for use, or other related rights. Legia did not agree with the decision of the Director of Tax Control Office and filed a complaint against. The Voivodeship Administrative Court in Warsaw in its judgment of 26 March 2010 case file III SA/Wa 1823/09 dismissed it. Categories: Art. 1 ARNR | Art. 43 GSTA | case law | copyrightable subject matter | media law | Polish Act on Goods and Services Tax | tax law | tax on copyright | VAT | Voivodeship Administrative Court. This is the continuation of the story described in “Trade mark law, case VI SA/Wa 2376/08“. The Free Trade Union of Drivers of the Republic of Poland (FTUD) and its representative disagreed with the decisions of the Polish Patent Office and the Voivodeship Administrative Court, and filed a cassation complaint to the Supreme Administrative Court. The FTUD claimed that the drawing of an eagle included in its sign differs from the National emblem, because it has different colors and is on a different background. The Union also argued that the sign emphasizes its national identity, and not link with the state bodies. According to the Union, the PPO already registered many characters that consist of national symbols that were artistically altered. The refusal of registration of the questioned sign limits the competition argued the Union. The Supreme Administrative Court in a judgment of 21 April 2010, case file II GSK 555/09, dismissed the cassation appeal. According to the SAC the provisions of the IPL and the Act on Coat of Arms, Colours and Anthem of the Republic of Poland should be read together. Neither the emblem or image of the Eagle established as the emblem and symbols of the Republic of Poland shall not be subject to protection rights. This applies also to similar signs – said Judge Małgorzata Korycińska. The judgement is final. Categories: absolute grounds for refusal | Art. 132(2)(ii) IPL | Art. 145 IPL | case law | Polish institutions | Polish Patent Office | Polish Supreme Administrative Court | Voivodeship Administrative Court.